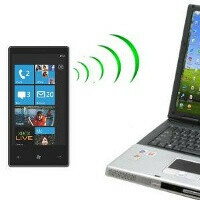 Tethering has been a feature that’s sorely missing on the first couple of Nokia Windows Phones - the Lumia 800 and the Lumia 710. Both couldn’t share their Internet connection with other devices, and with costly data plans that’s a feature we can imagine will be requested more and more. Luckily, the Windows Phone Tango update fixes that by adding tethering support to the Lumia 800c (the Chinese version of the Lumia 800) and 710. The roll-out of the update should start soon. Along with tethering, the update should bring apps like Sportstracker, News and Creative Studio to your devices. At the same time, Nokia said that its low-end Windows Phone offering, the Lumia 610 will actually get Skype with its full functionality. This comes in response to an earlier announcement by Microsoft itself saying that low-end WP devices won’t be able to run Skype. The minimum requirement Redmond listed were Windows Phone 7.5 and more than 512 MB of memory. The Lumia 610 features only 256MB of RAM. "Skype is available for the Lumia 610 in Marketplace and actually works just fine in the latest round of testing that has been done," Nokia said. Now THIS is what your call fast service, except the tethering issue, like FINALLY. Don't be too quick to get excited, yet. On carrier branded Lumia's tethering is locked tight even if you manage to SIM unlock the phone and use it with other operator's SIM. So when is this due? I'm holding off for as long as I can to get a nokia 710 as I need tethering ... don't really want to pull the trigger on a radar.... nokia drive is calling.